If you love mountains, you will love Nepal. After all 8 of the 14 more than 8000 meters high peaks are located in Nepal! If you are flying in to Kathmandu from Delhi, you want to grab a window seat on the A side of the plane. That is where the action is while flying in to Kathmandu. 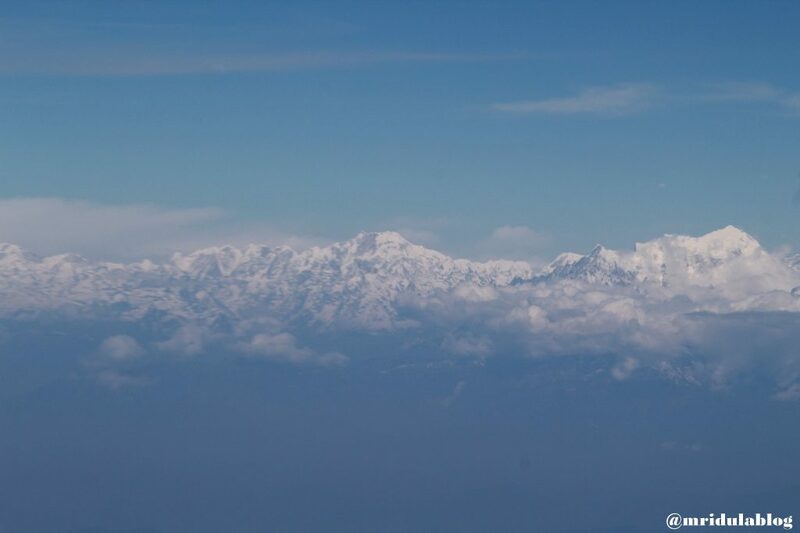 Usually pilots announce when we are flying over the Everest region but not this time. Not sure which mountains I saw but they were awe inspiring! In all my three trips to Nepal, I have been around the Pashupati Nath Temple but never managed to get inside. It was the same this time, when we reached, the temple doors were closed. 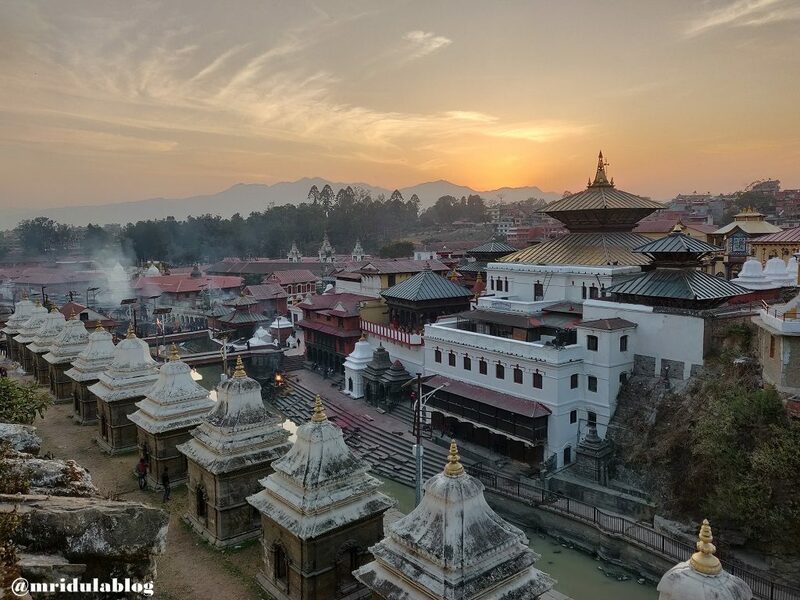 But thanks to Mr. Karunakar Upreti we walked up to the vantage point behind the temple to capture the sunset! 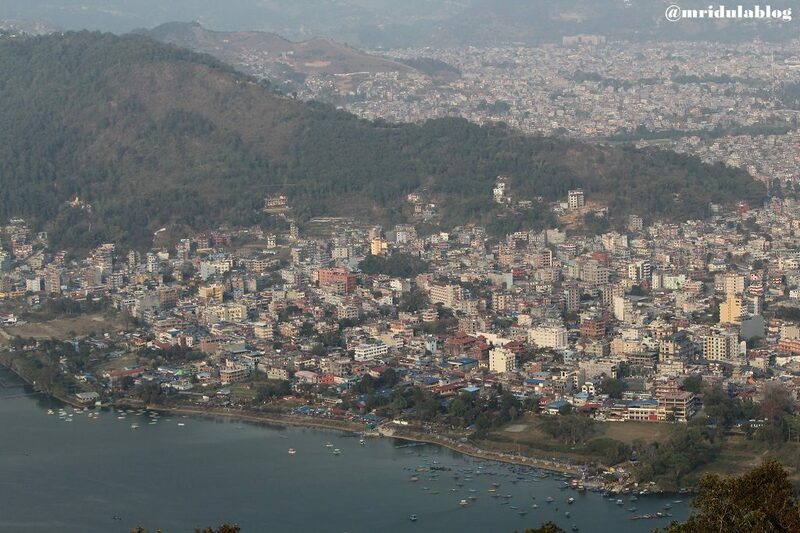 If you wish to visit the Shanti Stupa in Pokhara you have to climb a bit even after the car park. The views along the way are breathtaking! I am always happy to walk, more so in the mountains! And while I was climbing down we stopped for an excellent cup of coffee in a cute little cafe. Food tastes so much better in the mountains, more so after an uphill walk! 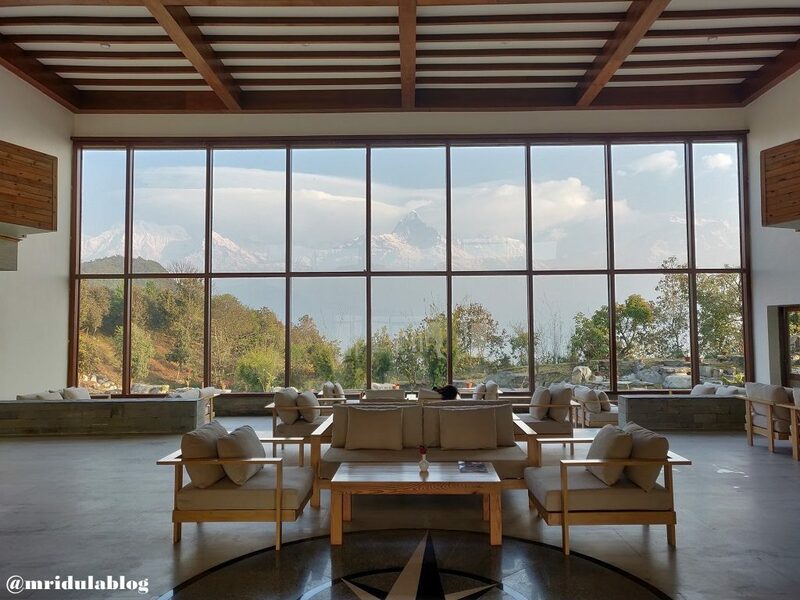 We visited an upcoming hotel in Sarangkot near Pokhara. I envy the guests who would stay here from the view from the lobby! 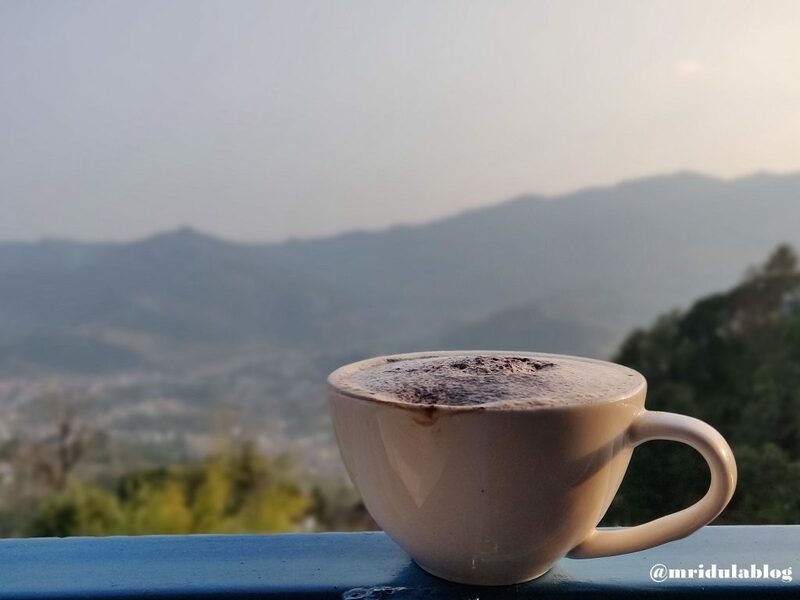 The first picture in this post is also taken from Sarangkot where we went to see the sunrise. The last time I was in Pokhara it was in 2013! 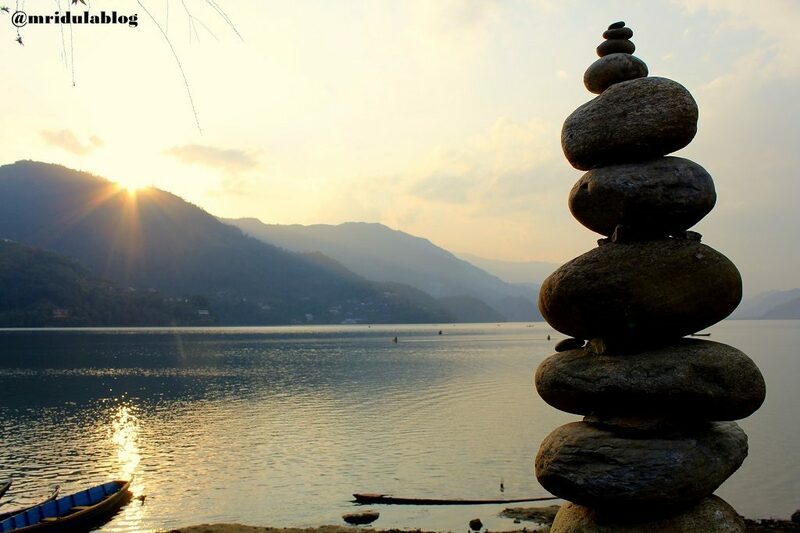 The Phewa Lake is still serene but the amount of construction the town has seen is unbelievable! 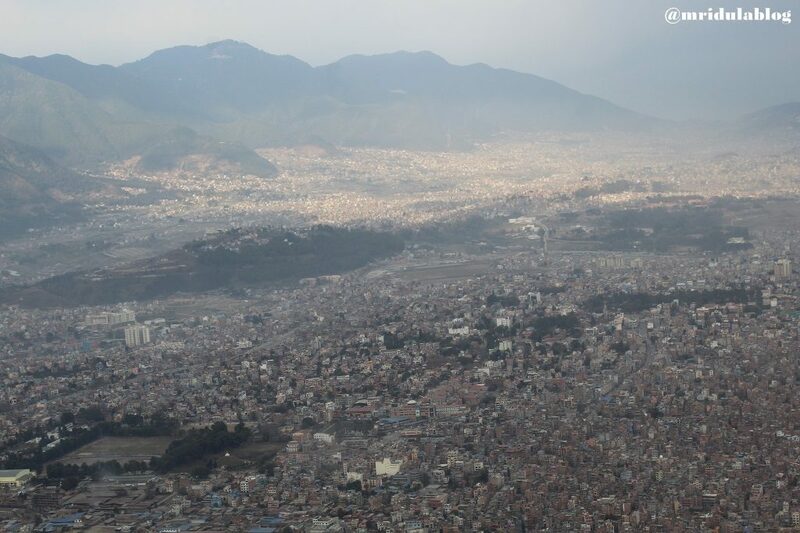 And that is a view of Kathmandu as our plane named Makalu took off! Those don’t know about mountains will think of the name as McAloo but people who love mountains know that it is the name of a revered and feared 8000 meter high peak! 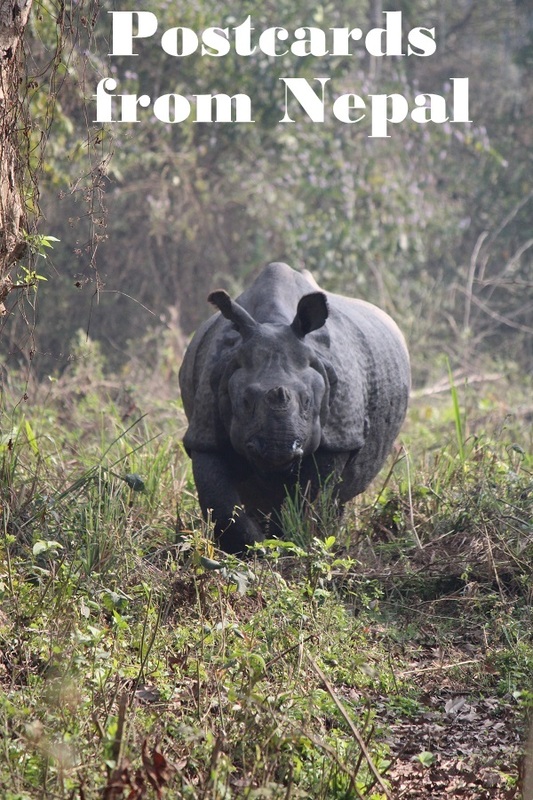 And even though I have written a separate post on the Chitwan National Park, I could not close this one without a picture of the Rhino! PS. I was invited by the Nepal Tourism Board and Barahi Hotels on this trip. 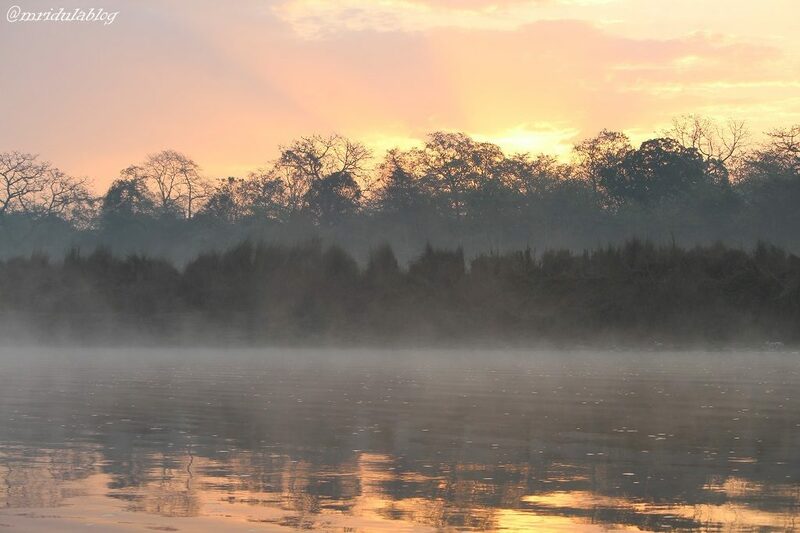 Even though I have been to Nepal before, it was my first visit to Chitwan National Park. 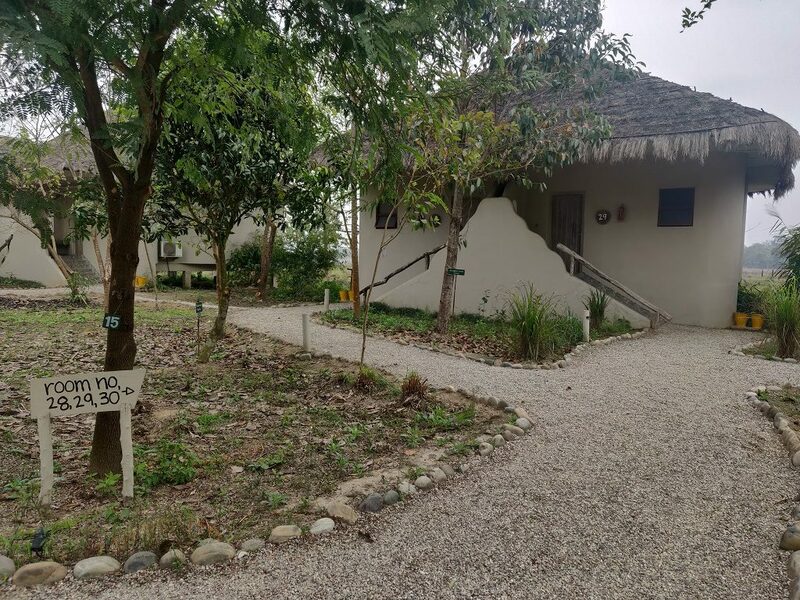 Barahi Jungle Lodge provided an excellent base to explore the park! I was invited by the Nepal Tourism Board and Barahi Hotels on this trip. 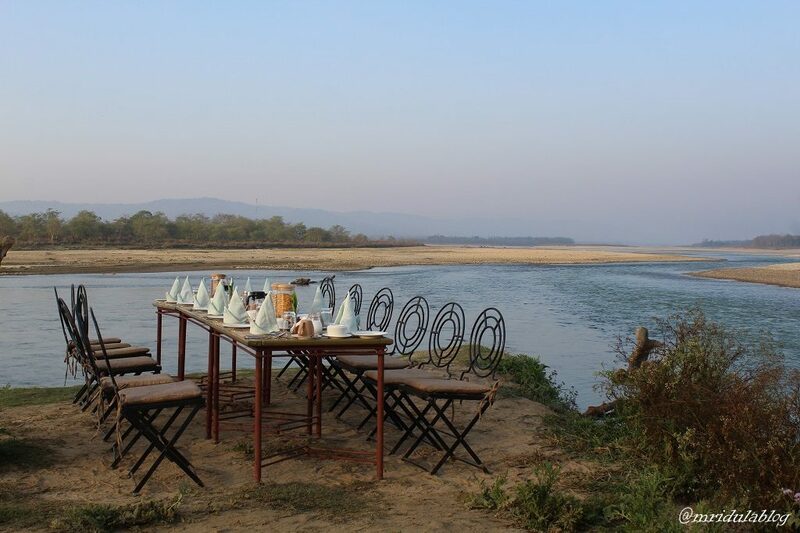 Barahi Jungle Lodge has an excellent setting right by the Rapti River. The cottages are lightly constructed in the local style. They are comfortable. I quite liked their tea lounge and the swimming pool area. As you walk out of the pool area, you walk right up to the river bank! 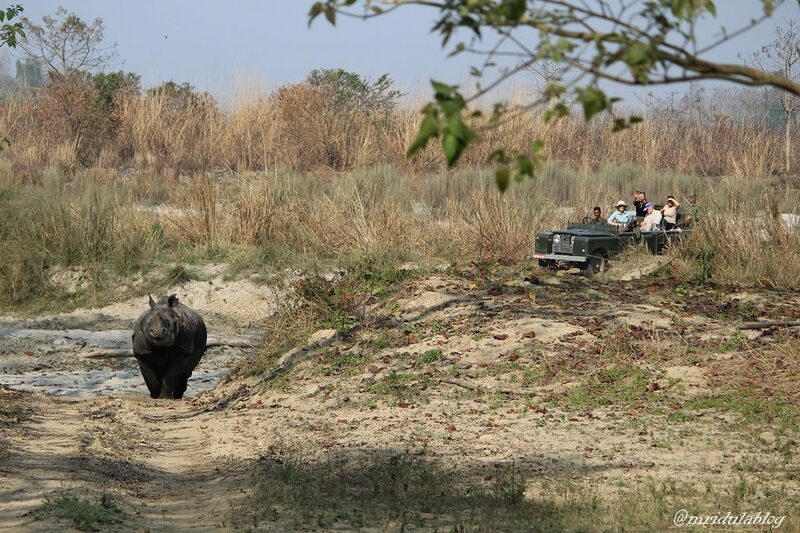 In fact, the jeep safari starts after a short boat crossing over the river! 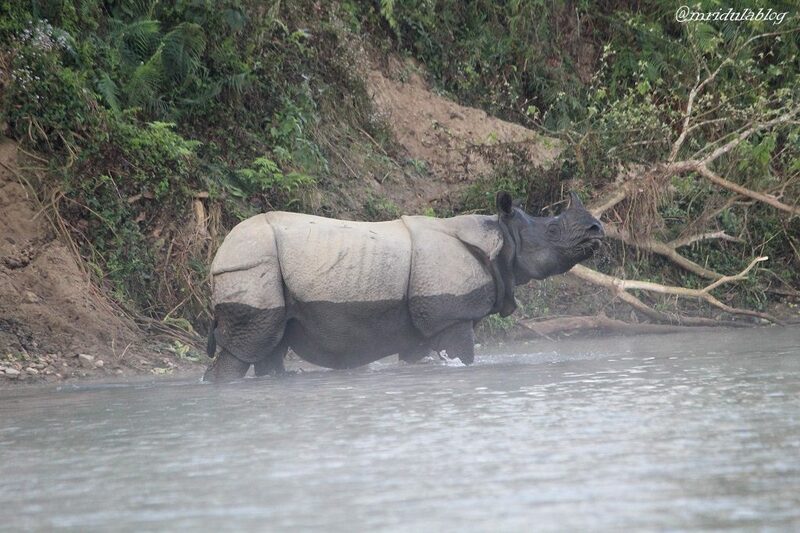 We were lucky to go on a full day safari into the Chitwan National Park. It was a first for me. 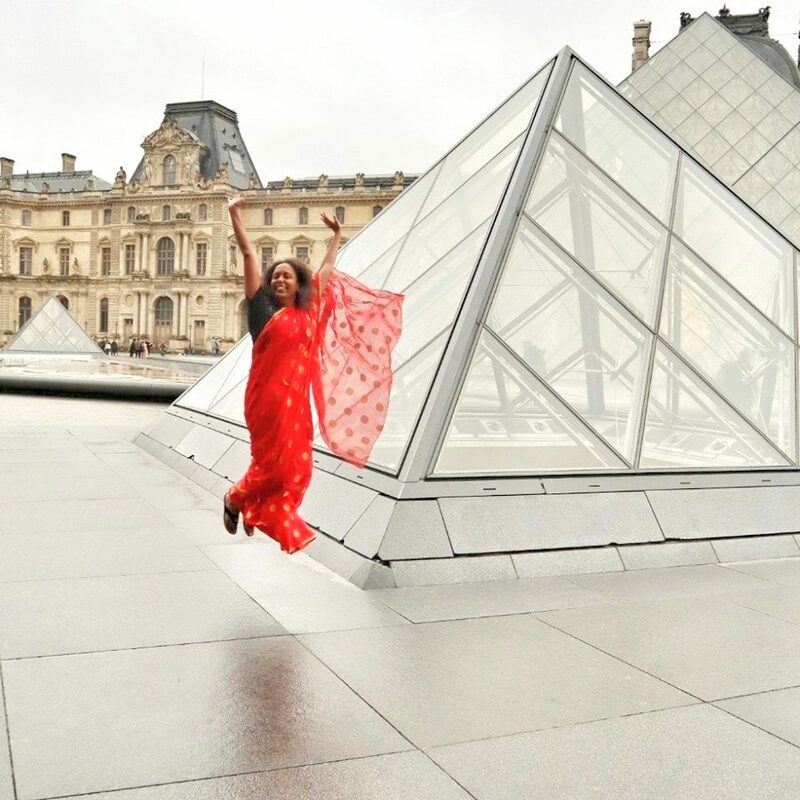 The weather was mild and it was an excellent experience. I spotted Rhinos many times on the jeep safari. It was actually after a long time I was looking at a Rhino, the last being in 2013 in South Africa! We had no luck with the tigers though! Hornbills were there in plenty too! Wild boars, monkeys and spotted deer made their usual appearance! Crocodiles and Ghariyal were seen sunning by the river bank. Other than the jeep safari the resort offers boat safaris too, both in the morning and the evening. I would highly recommend the morning boat ride, we had excellent sightings of Rhinos playing around in water. We spotted a mother and a baby which was pretty special. 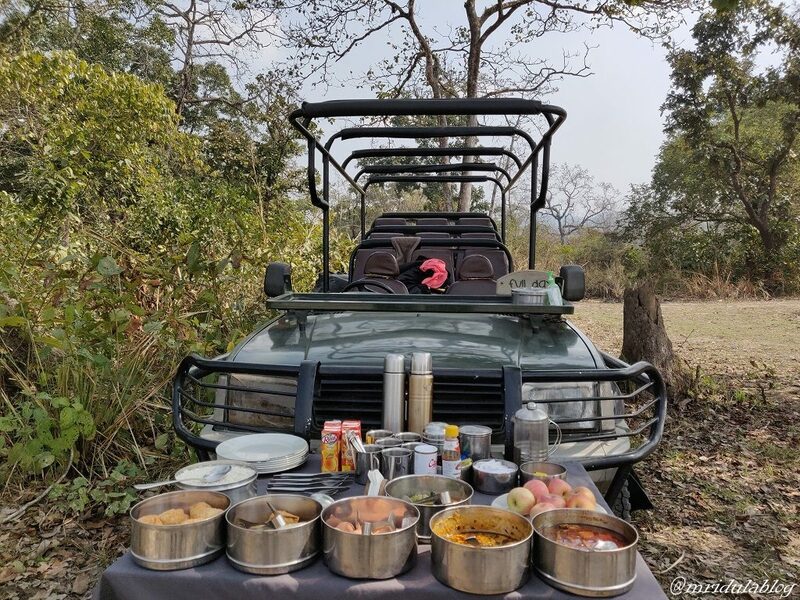 It was followed by an excellent bush breakfast by the river! I also enjoyed the dinners by the pool and under lantern lights on two separate occasions. Every night there is a bonfire and a cultural program by it. They also do a expert talk on the jungle. I have sat through so many jungle talks but most of the time I forget everything I hear. But not with Saki, his humor reminds me of the South African naturalists! He mentioned that the bar headed geese are supposed to fly over the high passes, including Everest, in Himalayas as they like to be famous! Indian Gaur likes football because they wear white socks (their legs indeed look like covered in white football stockings)! Now give me information in such a way and I will remember it forever! And when you are tired of all things jungle, go the Spa of the Barahi Jungle Lodge for an excellent detox session! 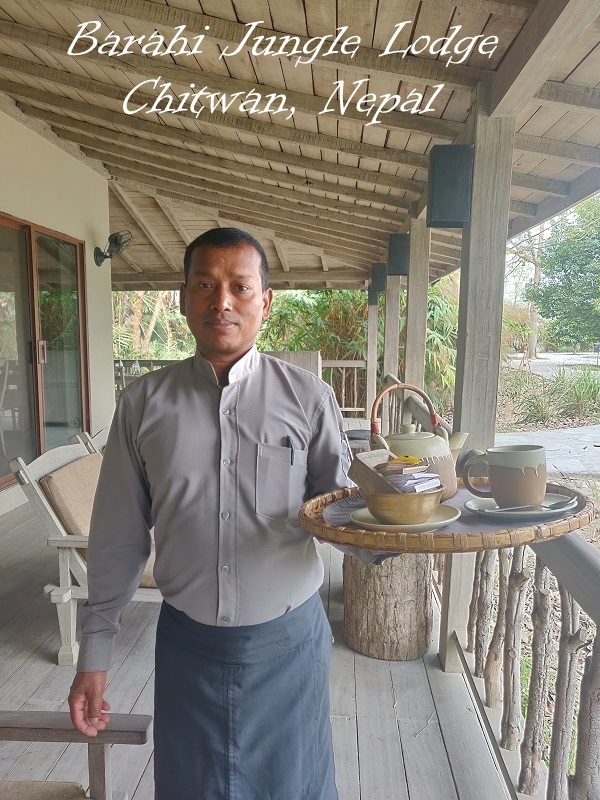 I had an excellent time exploring the Chitwan National Park with the Barahi Jungle Lodge.